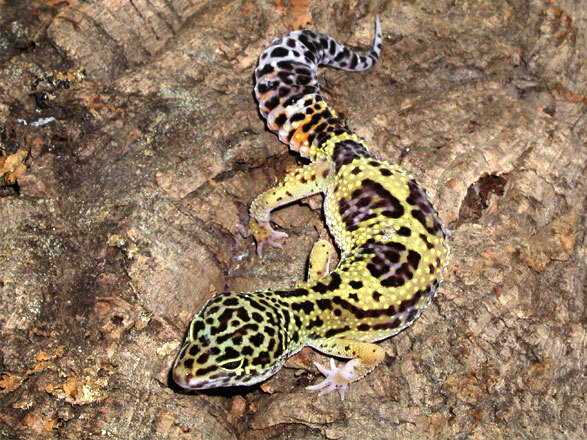 This is Calico, a female leopard gecko. Her unusual patterns are the result of breeding. Calico is a little over a year old.